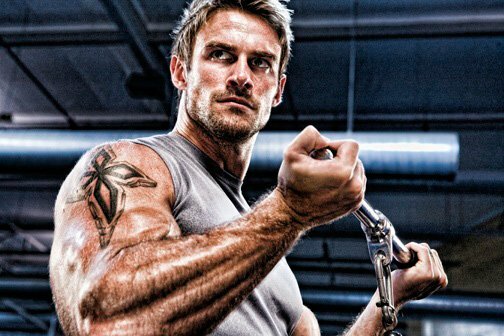 Personal Trainer Of The Month: Jessie Pavelka! Congratulations Jessie Pavelka on being our Personal Trainer Of The Month! Jessie was awarded the Bodybuilding.com Personal Trainer of the Month for his commitment to helping his clients achieve their fitness goals! [ Q ] When and why did you become a trainer? The answer to this question has two parts. I initially became a trainer in 2002 to help people shape their bodies, to help them look the way they wanted to look. This would reflect the way I was living. I was focusing on the exterior. Then in 2003/4 I had a paradigm shift. I started a business for bariatric patients pre and post gastric bypass. This opened up my mind to the true meaning of wellness and fitness, and the real definition of a trainer. Bodies, To Help Them Look The Way They Wanted To Look. [ Q ] What is your training style? What methods do you use? The great thing about training/exercise is it is non-bias. It changes from person to person, but everyone can still enjoy the benefits. That being said, there are some fundamental core values you must carry with you if you want success. Compassion and communication. Compassion for those you are working with creates a stronger passion for your job and good communication is the only way success can be achieved. [ Q ] Do you have examples of success stories from clients using your methods? I do. I had a show on Lifetime for two seasons called Diettribe, where I help 5 women who were all friends and transformed their lives through diet, exercise, and the accountability of their friendship. I also helped put together a program for a new product I am endorsing called the Step360, which was very successful during our 60 day testimonial period. With weight loss ranging form 25-50lbs, the men and women involved had amazing visual results ie. inches and body fat percentage lost. I am currently hosting and training on a new show in the UK that will be out in the fall of 2011 called "A Year To Save My Life". I'm not at liberty to say much about this show yet, but I will say that the results you will see will blow your mind! In the first month we have had some clients lose over 60lbs, but we still have much work to do. [ Q ] Who are some of your most notable clients? I have a confidentiality agreement with my clients. [ Q ] What are the most common mistakes a client makes? Getting wrapped up in the final product. Looking too far into the future and not living in the moment. This causes bad decision making, burnout syndrome, and ultimately sets the client up for failure. You have to remember to take things one step at a time. You must live in the NOW, it's the only way to reach success. Must Carry With You If You Want Success. [ Q ] What are the most common mistakes you believe a trainer makes? I think a lot of trainers are forgetting to take care of themselves and focusing only on their clients. You see it with doctors, nurses, and care takers. If you put too much effort into only helping others you are neglecting yourself and your health is the only thing that makes it possible for you to help others. [ Q ] Do you set your clients up with a full diet and training plan for them to follow by themselves? I do, but it's not done on their own. I keep a very close watch. [ Q ] How do you keep your clients motivated? I tell my client that motivation is all around them. It's in a simple memory. It's in a picture. It's in that pair of jeans you want to fit into. It's in a song. It's up to them to find it. [ Q ] Do you train a male client differently to a female? I tailor my training to the individual. [ Q ] How have your changed your approach to clients over the years of experience? I think we all have to adapt and evolve in our training no matter what your trade may be. Our Training No Matter What Your Trade May Be. [ Q ] How do you start a client on a new program? Do you do some kind of assessment? It takes a good 1-2 weeks to truly find out where a clients starting point is. I start out with a basic assessment and then take the next few sessions as an opportunity to figure out what the client needs. [ Q ] Do you prefer to train male or female clients and why? I have no preference. I like training anyone who works/trains hard and those that need it (training). Being able to assist in getting some form point A to point B and change their life is what I enjoy most. Gender doesn't matter. [ Q ] Do you feel just as much like a psychologist as you do a personal trainer? You can't help but become a huge part of your client's life when training them one on one. It's a very personal thing, to train someone. The client is telling you they are ready to be vulnerable and they trust you enough to help change their life. The mind and body work together so by the 4th week of training, or sooner, they are telling you everything. Something you just have to laugh off, but some of the issues they come to you with have substance and need to be dealt with. That's when we, as trainers have to be even more understanding and compassionate towards the client. When you've done this for almost nine years you get pretty good at giving advice and problem solving for your clients. Weight loss is a very emotional journey so you must be able to stretch your training skills past the physical results.